USA Today Bestselling author, N.M. Silber's hot and hilarious lawyers are back! 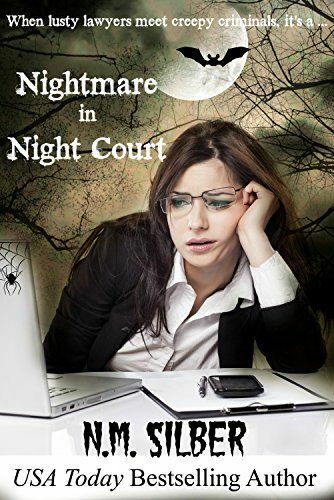 What could be wackier than Philly Night Court on Halloween under a full moon? Gabrielle and Braden Pierce appearing for the defense. From undertakers, to ghost hunters to an illegal alien ... from another planet, this group of zanies makes their former caseload look almost normal. Join the funniest and sexiest attorneys in practice as they tackle a Nightmare in Night Court. NOTE: This is a SHORT STORY, not a full-length novel or novella.